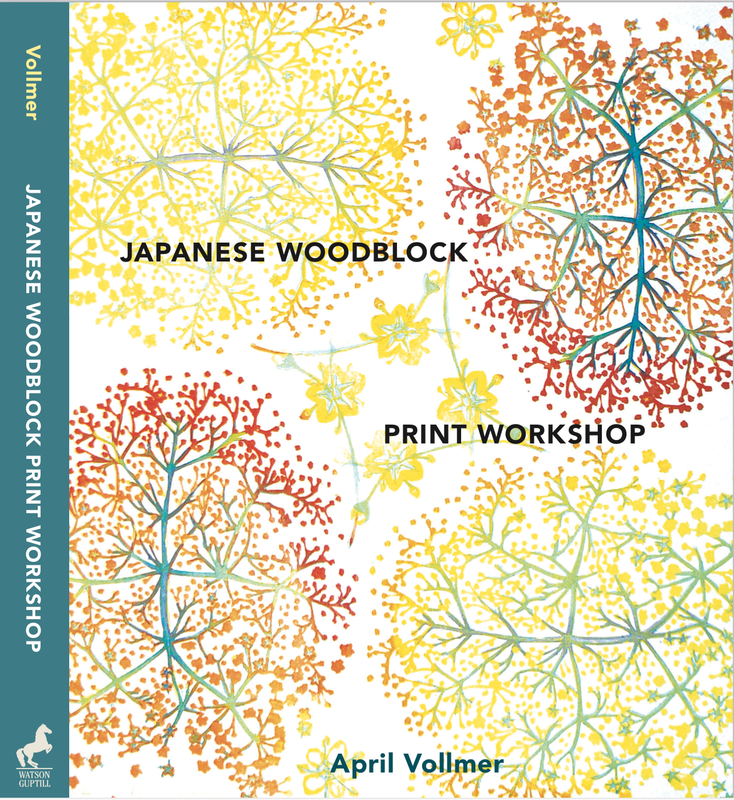 Three years in the writing, a lifetime in the making, Japanese Woodblock Print Workshop, A Modern Guide to an Ancient Art, by April Vollmer, was released by Watson-Guptill August 4, 2015. A comprehensive handbook of materials, techniques and resources the book is intended to make this waterbased technique accessible to contemporary artists. 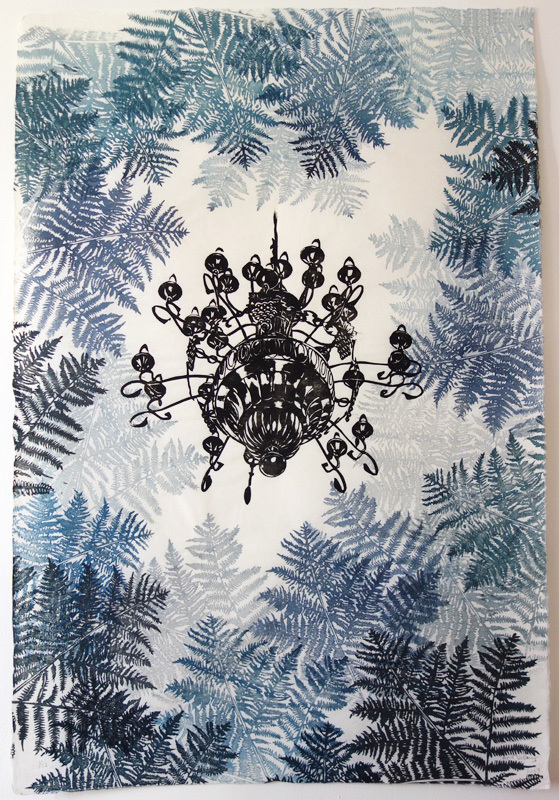 Blackout was printed from only two blocks, but the small fern block was printed over twenty times to create the darkness around the light of the chandelier. Begun during the 2012 blackout of lower Manhattan during Hurricane Sandy, it was completed in 2013. Printed on Gozen washi. 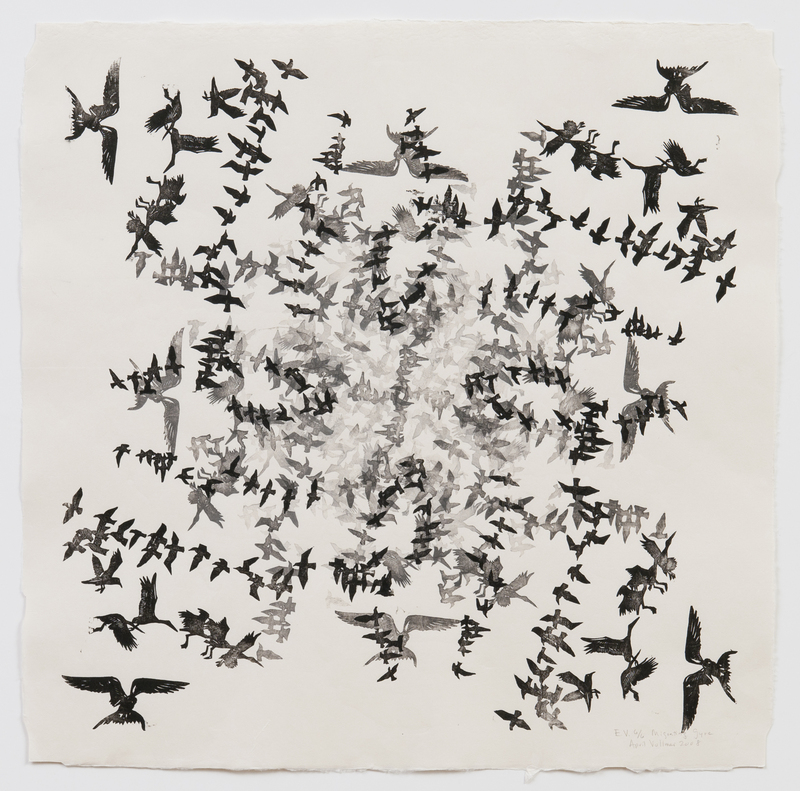 Grabado y Edición is a bi-lingual Spanish/English review of new ideas in printmaking. This 2013 edition includes my article on the history of mokuhanga, Japanese woodblock printing. It begins with an historical overview of the use of the technique from ukioyo-e prints of the 18th Century through the sosaku individualist printmakers of the early 20th Century and ends with a discussion of the wide range of international contemporary artists who recognize the technique for its flexibility. It is illustrated with woodblock prints by Katie Baldwin, Mike Lyon, Michael Schneider, and myself. 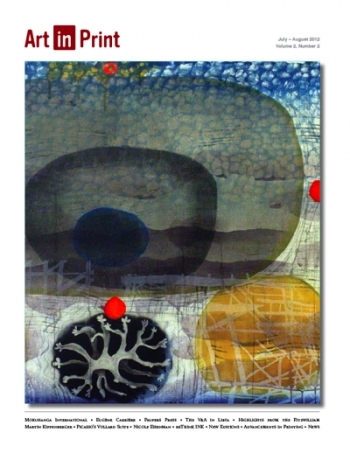 Art in Print: Mokuhanga International, was published in Art in Print, Volume 2, Number 2, 2012. 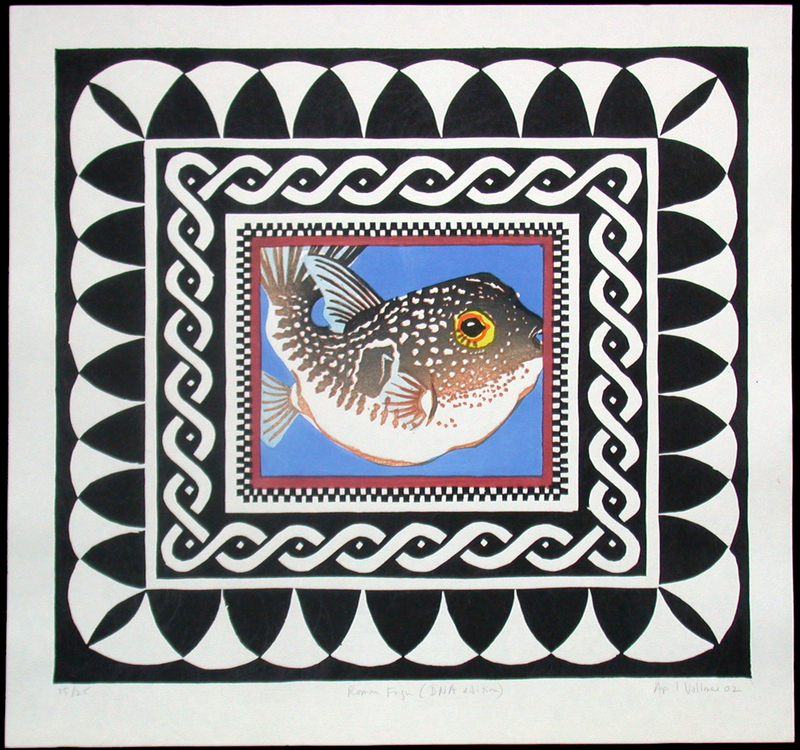 The article is a review of the current state of mokuhanga, Japanese woodblock technique, in contemporary art outside Japan. 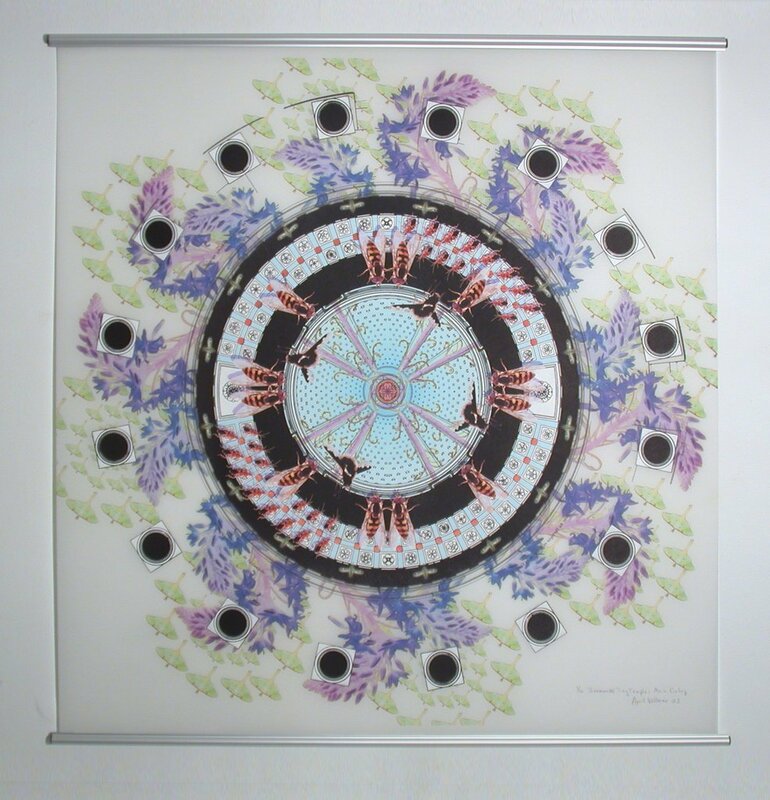 It includes a brief overview of the history starting with the famous Edo period ukiy0-e prints, through the eclipse of the technique during the 20th century, and then the current renewal of interest in the technique for creative artists. 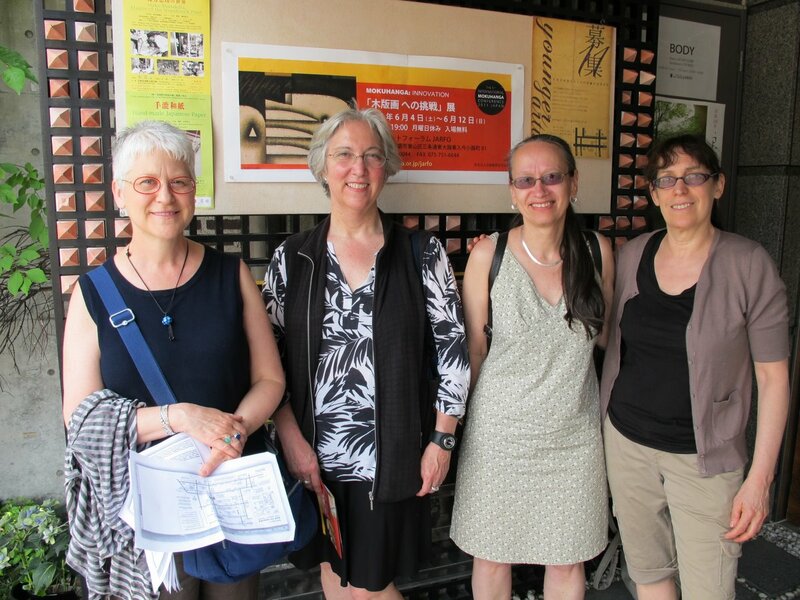 Publication of April Vollmer’s article, an overview of the activities at the First International Mokuhanga Conference in June 2011 in Kyoto and Awaji, Japan. Bridges, New York to Belgrade and Beyond, Contemporary Impressions, Spring/Summer 2009, p 24-27. 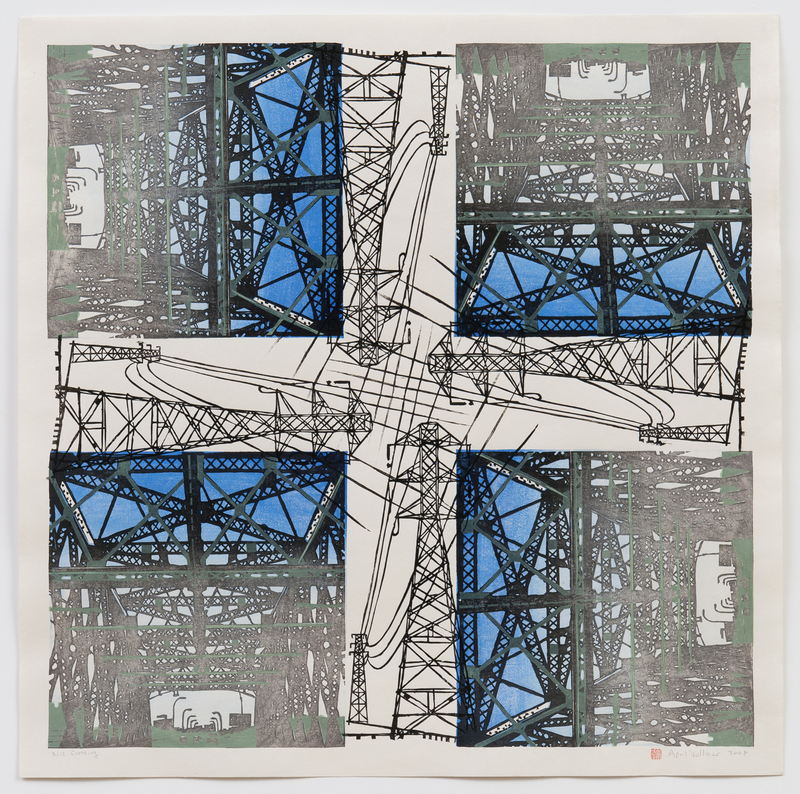 Intersections of East and West, Contemporary Printmakers in Japan, Contemporary Impressions, Spring 2005.